This is a guest post by Rick Zullo. He is an American writer, traveler, and part-time English teacher. Rick lives in Rome with his Sicilian wife. He enjoys exploring the hidden areas of Italy, and blogging about the expat experience. Rick is also the author of the book, Teaching English in Rome, Italy: A Guide for Americans, available on Amazon. You can connect with Rick on his blog, or on Twitter. 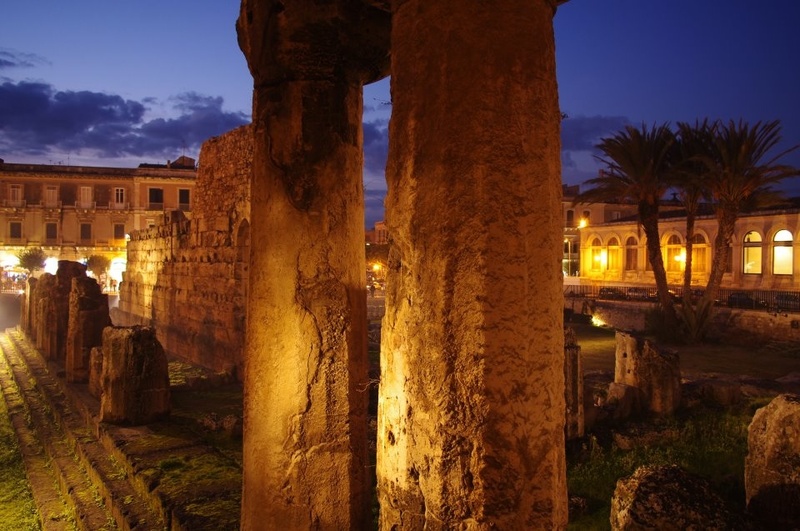 For millennia, Sicily (or Sicilia, in Italian) has been at the crossroads of the Mediterranean. Every society that has passed through or conquered the island has left fragments of their culture behind; much of which is still visible today. For the modern traveler this means that the last 3,000 years of western civilization is abundantly displayed and conveniently compressed into this 25,711 km2 (9,927 sq. mi) floating triangle at the very edge of the European Continent, making it an accessible microcosm of Italy in the extreme. So if you’d like to experience this sumptuous adventure across epochs and cultures, what are some of the highlights that will impart the visitor with this sense of historical passage? The list is endless, no doubt; but if you start with these five things, you’ll have at least tasted a bit of it all.